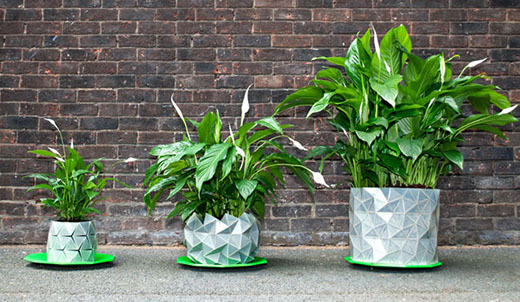 Plants eventually outgrow their pots like kids outgrow their shoes - but just like the recently-covered Shoe That Grows, a clever design can allow the pot to grow with the plant. Studio Ayaskan's GROWTH does so with a clever origami-inspired design, which seems to look quite elegant at all three stages shown here - though I wonder about any awkward half-unfolded middle stages. Regardless, I'd welcome the liberation from having to re-pot plants!